Carmel ROCKS! We surpassed the $40,000 goal for this year’s PTSA Invest for Success Giving Campaign. Because of the generous support we were able to meet the budgeted goal and provide our students, faculty and staff with some necessary items. The PTSA purchased 2 new Promethean boards, books for the student tutoring program, a new gaga pit, hosted monthly lunches for faculty/staff, provided funds to teachers for classroom supplies and much more. 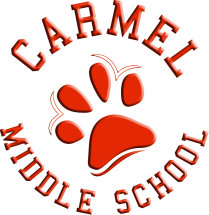 Thank you, again, to everyone who stepped up and invested in Carmel Middle School! 1. We have partnered with Pay4SchoolStuff.com to consolidate all of your school purchases/donations. Just click on the "Pay4SchoolStuff" button below, create an account for your child, and donate online safely and securely! 2. Click on the "Donate with PayPal" button below, fill out the form, and connect to Paypal to donate online. 3. Cash or pay by check: Please make checks payable to: Carmel Middle School PTSA. Return to front office, send in with your student to their first block classroom OR Mail to: Carmel Middle School, Attention: Invest In Your Child, 5001 Camilla Drive, Charlotte, NC 28226.